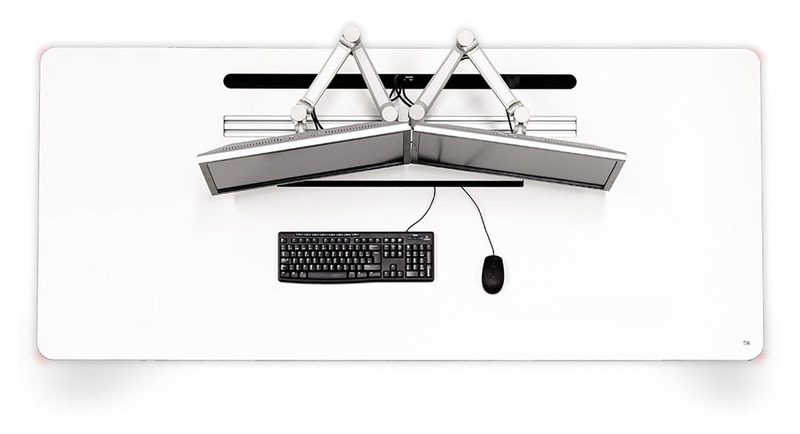 Advantis, synonymous with ergonomics, control and functionality. 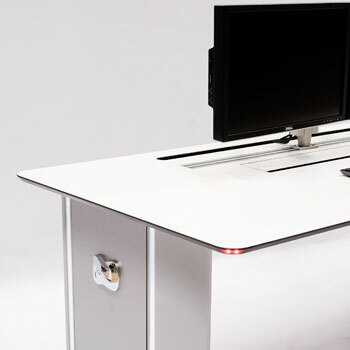 A console designed to lead change in high value-added technology environments. Experience, research, design. A permanent work of our engineers and designers in search of perfection. So it has thrived Advantis, the technical console for control and decision centers that has set the trend in the market, combining in one model innovation, functionality, elegance and solidity. Available and ready to use it from the first moment. Precision full of flexibility and naturalness to suit every need, every operator in every work environment. Forms created by and for the people. 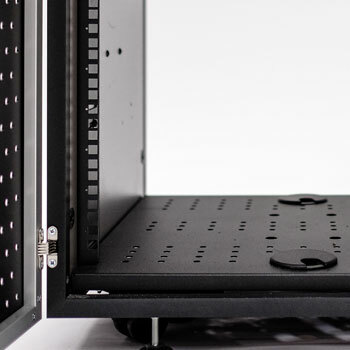 ADVANTIS is a reference in the organization of technical areas with unlimited different configurations, clearly differentiating the space for computer systems and the one destined for the user. 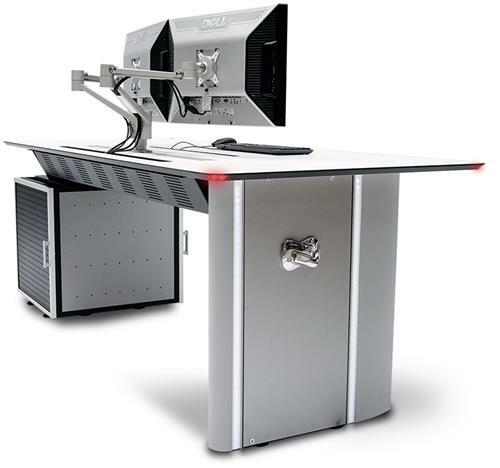 ADVANTIS respond effectively to any requirement and technological 24/7 environment. Its ergonomic design facilitated all activities are carried out with maximum comfort and accuracy. People are the priority and ADVANTIS stands at the center of their existence, anticipating their needs, providing a unique experience where everything is under control. Joining the latest technology with the most innovative design and high quality. Perfect adaptation to any environment, in any industry, for any function. A new concept of control console created from a continuous model of innovation and creativity. 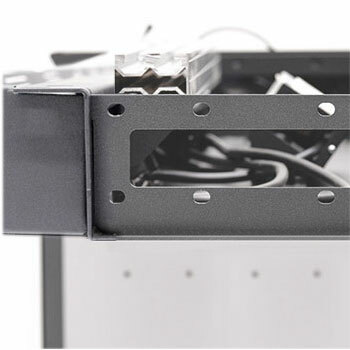 ADVANTIS unites the four techniques necessary for the organisation and management of all wiring and connections: surface connections, Technical Service Area, main conduit and wiring feeding. 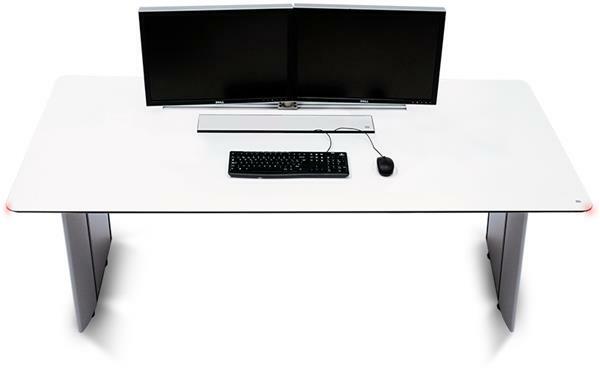 Maximum connectivity with maximum ergonomics and functionality. Central U-shaped beam with no limits to combine different structures, be they linear or curved, concave or convex configurations. All the accessories are designed to provide maximum interrelation between them, in order to offer a product range suitable for most needs in highly technological environments. High quality work surface for table and trays manufactured in phenolic compact and subjected to demanding tests and certified by the most prestigious bodies. Available in four basic colours: white, light grey, anthracite grey and beech, offering the possibility to adapt to any appropriate need at design, finish and color level. 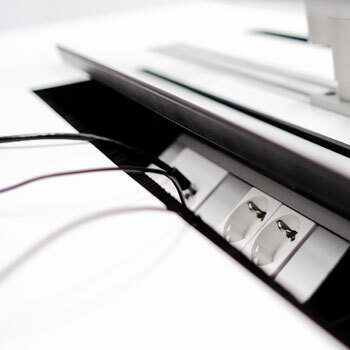 A console led lighting system is incorporated at the ends of each line. 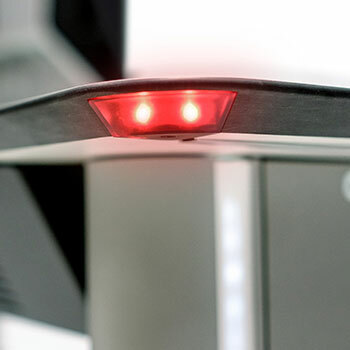 This system has a functional and safety argument, is red and identifies the console outlets. The lights identify, following the same passive safety values, the table outlets. 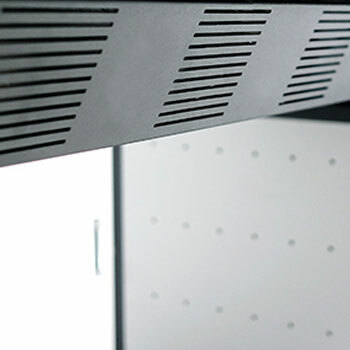 The perforated sides and doors enable the proper ventilation of the equipment installed in the closed compartment. If necessary, the ventilation could be forced by installing ventilators with an airflow of 925 m³/h (220V, 50Hz). Merging of the most advanced technology with a top quality cutting-edge design. Structure in an extruded aluminium framework, submitted to demanding tests in accordance with international standards that guarantee its quality and long lasting over time. Multiple configurations, with drawers, individual, double or triple, that adapt perfectly to any technical need.